What would you like to see in a future release of Group the Loop? First of all, congrats for the amazing work you have done Jack. Since backing tracks workflow is now near to perfect (I probably miss something but I can think what else someone should need from than perspective aside midi clips?) I think it could be time to focus towards post production audio editor (improving the basic one GTL has) and maybe iPhone version (I will open a dedicated thread for that topic). In the advanced audio editor and following a bit actual workflow it will make sense to have the option to record into a timeline but grouping the tracks by some coding (or position in the window). Let me explain a bit. We have main group and song parts groups. We can record these into a timeline just with 2 audio channels and it will as start point useful but what about recording the main group as 4 dedicsted audio lines/channels and another 4 (or maybe more) for the song parts clips. We can do that also from position (top clips in dedicated channel, 2nd to another, 3rd to another and lower to another) or by color coding (you add a color to the clip and the color bus its output to a dedicated channel let user to mixbussing by color which should be related to the clip content). If we match position and color we will have some kind of continuum too but making them seprste gives more flexibility (or mesh) to the user. Just an idea. So when we hit rec in the advanced audio editor and perform we end with multistem project suitable for further edition. In fact this should be called advanced recorder since we don’t have an audio editor yet (right?). This approach brings 2 workflow possibilities which will worth explore. This 2 approach seem the competence paths (multiple outputs into AUM or DAW) and sequence performance like loopverse or alk desktop looper which seems to be the most requested features at the forum. Now some videos snapshots to do the required pedagogy for all my crazy post. I talk like everybody could see my brain from inside, I know. Arranger looper concept. 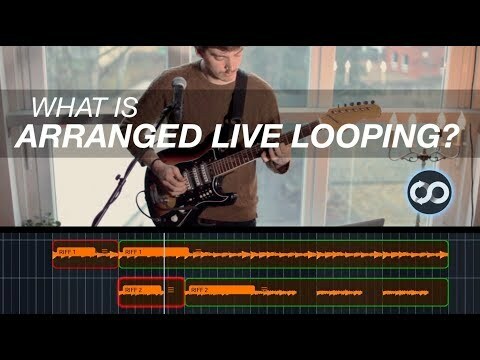 Similar but requires know the song structure before start which IMHO defeats too much the experimental or on the fly character of live looping itself. I hope this clearify the idea behind my proposal. ASAP I will try to mockup the color bussing method I described. Meanwhile please share thoughts and questions. It's a real pleasure using the latest version of GTL . Very happy with the latest release.All the work on the transport/solo etc gui has made it much more fun. I use GTL for live impro in manual CUE off mode. I would love to have the option of having a 1/4 time sig. so that it would be easy to record quantized loops of different lengths. The other thing I'd like is some kind of record arm track option. I use a midi pedal so it IS possible to highlight (select) the next loop location to record into, but sometimes this means pressing the pedal many times to get from one location to another. Using the touch screen would make it much quicker to jump around from, say loop 3 of group 1 to loop 2 of group 4 for example. Yes a 1/4 time sig would be great. It's been requested before so i'll bump it up the todo list. 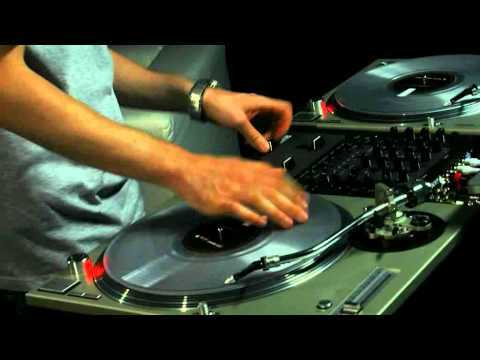 Record arm track option - I'd like to see this too, I will give it some thought. I updated my iPhone post with all the mockups related to multiple outputs and AUv3 version of GTL. Please take a look and comment. Also reviewing my own post above talking about performance recorder I strongly believe it should be mainly metadata (midi, interface interaction like Ableton and audio as raw under any fx chain or modificator) to make somethng like the Serato the Mixtape feature I pointedand keep things in place. I know it could seem a total revamp from actual app but I feel it could be a hit and @jack has the bits at his hands. Please add per loop volume control. Figured it out by accident (tutorial has a habit of quitting when it doesn't like something). @Jack. Still loving this app. I may be in the minority here but I mostly use GTL for recording and it works well for me. I would like to see song mode and the ability to edit/trim loops added. @Ben, yes a song mode would be a great addition. Not sure when we will see it. I’d like to add a trim/editor function fairly soon. I was thinking of allowing the user to adjust the loops beyond the punch in/out points. So if you get the timing slightly wrong you could shift these points forward/backwards in time. GTL buffers the audio input so it's actually possible to reclaim audio before you punched in. @dubbylabby, an AUv3 version will happen. It’s certainly the way to go now now. @Jack awesome! I strongly feel it could be good for you and it shouldn’t not harm GTL sales but even fuel them. Using an AUv3 the way I described makes resampling even easier with audio routing. We can record inside looper and later record the output of these loopers linear in any DAW... even realtime so step by step build from scratch to full songs (pauses for smile). That’s good news. Are you thinking that we will be able to adjust the start and end points of a loop independent of each other? So more like trimming than a shift of the loop as a whole. Having the ability to do both would be amazing. When making a tune there are some sections that only ever play once - for example the very beginning introduction of a tune might only need to get played once and then go straight on to the next section which could loop round until swiped manually. I guess these options are really only useful to people who are trying to set up a song structure in advance rather than looping on the fly. Also I am wondering if it is possible to set up the current MIDI bindings to do this? for example - could there be a binding that would Play Group 1 once then Play Group 2 right afterwards? or Play Group 5 once and then stop the whole song? It might work depending on how you have CUE set I suppose? Like Ableton live follow actions and related to the workflow explained time ago in one of my previous comments. I love the idea and it could be amazing also it remembered me about Prime app which has quantized loop triggering over backtracks. It’s a great idea, some sort of song structure sequencer/creator I suppose. It’s been requested before and I’d love to add it at some point. I’m not sure how you would achieve this with the current midi bindings. I think the best aproach would be to trigger the groups manually with CUE turned off. Maybe a pedal for each section of the song, tap the pedal at the end of the section to switch to the new one. Yes I remembered that you mentioned before that you were using GTL to set up the loops in advance and perform live with them I just thought this would be a simple way to implement a kind of song structure mode that would help. I was thinking that if a MIDI binding said "Play this Group" and also "Play next group" it would work - but I suppose the second Play Group message would have to be delayed until after the First Group had started playing. Yes that’s right, the second command would have to be delayed if you wanted to run a sequence. Unfortunately this is not possible at the moment. I had a really enjoyable session with GTL last night - hosted in AUM, with several inputs (guitar, vocal, several AU and IAA synths controlled by MIDI guitar) that had a post Mix Bus send on them - so all I had to do was make sure that only the synths / channels I wanted to loop in GTL were unmuted and then GTL could loop any of them. It was really inspiring! I love being able to play synths on my guitar - and it's so great to capture my ideas in GTL and build them up into little arrangements. I did have one issue upon reloading it having closed down all apps. I did several tests as I am trying to get this setup ready for my wife to use. I reopened the AUM session and most of the settings appear to work correctly - except in GTL I have to reset the Audio input to IAA audio to connect to the AUM mix bus. On one reload the AUM tempo weirdly went to 20bpm. I set it back to 120 - but then this caused GTL to time stretch the audio tracks in the first group but not the second. So what happens now is that Group 1 in this song is has been slowed down to about 1/4 of the normal tempo.. but Group 2 still plays at the correct tempo. It is very odd! Is there any way to undo this? There did not seem to be any way I could undo. Have you come across this behaviour before? Is it safest to make sure GTL is closed on a blank / empty song just in case of problems when reopening? Ah shoot, something has got confused here. I've reworked the way groups handle tempo in the forthcoming update so, fingers crossed, this issue will be resolved. Obviously this shouldn't happen but yes, I would start with a fresh session just incase. If you come across any tempo related issues, exporting the loops then reimporting them into a new session should fix things. Good trick! that worked and rescued my track. what about a midi trigger sequencer? Just been messing again and noticed that if you've used a MIDI CC to adjust the 'Selected Loop' volume, then the Orange rectangle around the selected loop vanishes. Perhaps this could be considered a bug? Or maybe more like - does not work in the way I would expect. Not a big issue - but it does make it a little harder remembering what loop you currently have selected. Thanks for pointing this out, i will fix it in the update! Another thing that is proving to be a little time consuming is that GTL does not remember which Audio Input is selected - so that when you load any session the Audio Input switches to the first input available - whether that is iPad mic, or USB1 etc. I am using GTL with AUM at the moment - so every time I load a new session in GTL I have to switch the inputs away from the iPad mic / USB1 to the IAA setting and also select the IAA app port. Again - it's not a biggie but I would be most grateful if there is any way the Audio Input can either be maintained in it's current state when loading a new session, or preferably the Audio Input be stored within the session when it is saved. Yep good point, inputs should be recalled with each session. I'll see what I can do. No GTL does not do Audiobus state saving at the moment. some really nice suggestions here! goid to see that GTL is improved actively.